Area Lakes Mechanical is a quality resource for plumbing-heating new construction and repair projects in the suburban south metro of Minneapolis/St. Paul. 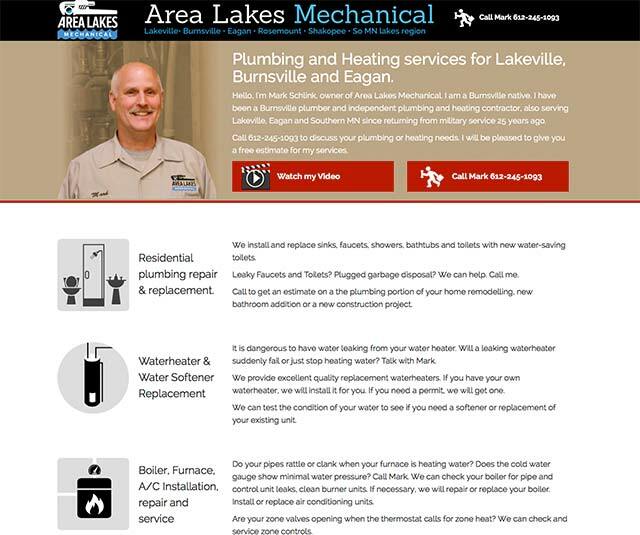 Servicing Burnsville, Lakeville and Eagan, their plumbers do residential plumbing repair and replacement as well as boiler and furnace service and installation.